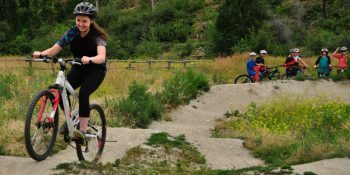 Opening youth’s eyes to the amazing mountain biking opportunities the Okanagan Valley has to offer in summer! Our programs are offered to underprivileged youth free of charge. We rely on the generosity of donors like you! Elevation's mission is to enhance the lives of underprivileged youth via participation in specially designed outdoor sports programs; and to help youth develop lasting passion for these sports while drawing parallels to life through the experience and learning life skills along the way. 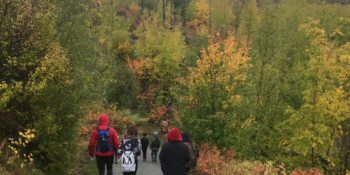 All programs are to be offered to eligible youth free of charge as Elevation Outdoors believes that no young person should be denied the potential to discover an outdoor sport or pursuit that can help keep him or her motivated, healthy, and happy in life! Elevation facilitates programs through the spring, summer and winter months. 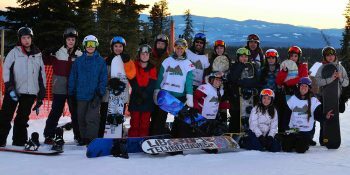 Teaching youth how to snowboard and safely enjoy the mountains, while being part of mentored groups that are guided by positive role models. 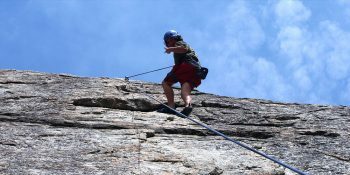 The Get a Grip rock climbing program will introduce participants to the joys of both indoor and outdoor rock climbing. 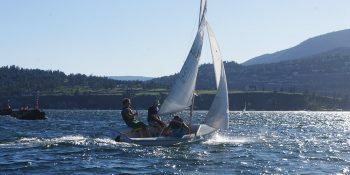 Giving youth the opportunity to experience the unique and challenging sport of sailing with qualified COSA staff. 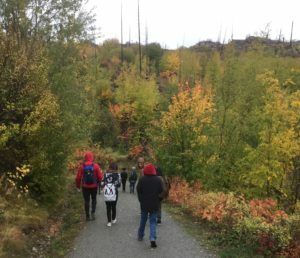 Giving youth the chance to explore some of the Okanagan’s best hiking trails! "Elevation outdoors, provides great opportunities for our kids in the community. One youth in particular that has gone through the winter and Spring program, has come out with many positive changes. This youth has a NEW connection to something he loves (snowboarding). With that connection came a more positive attitude and motivation to achieve other things in life. I personally thank Elevation and their crew for all the effort and dedication they put into our youth in the community. In my opinion this program has helped to mold him into the man he is today. Thank you for helping build this connection to snowboarding, it has made a huge difference in his life." "Make sure you tell your team I said "GREAT JOB"!!! I look forward to seeing the difference your team makes with "future" youth." Creating Diversity in the Outdoors. Keep in touch with Elevation Outdoors to know about all of our programs, events, and other exciting news!